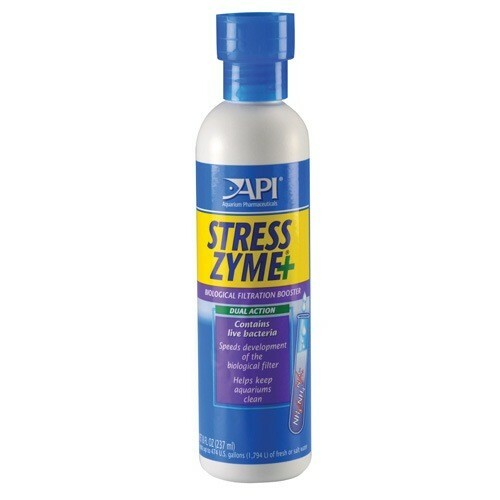 Aquaria AP STRESS ZYME 8 OZ - Rick's Pet Stores Inc. Contains 100 million live bacteria per teaspoonful. Helps keep a naturally balanced aquarium by eliminating sludge build-up. 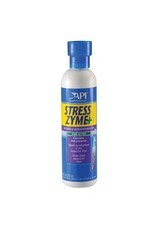 Prevents ammonia and nitrite poisoning, low oxygen levels and low ph. Use when setting up and once a week maintaining an aquarium.